From left: Phil Frengs, Scott Miller, Chip Humphries, Gerry Hribel, Daniel Ragsdale and Mark Pfeil. But the real winners are the scholarship recipients of SCGA Junior! Conceived and sponsored by Legistics, Inc., the fundraiser is named after the firm’s forerunner, The COPi Companies. This year, it was again co-sponsored by clothier Matte Grey, with help from Jim Nantz’s award-winning winery, The Calling. The COPi Cup is a 2-day event celebrating “Camaraderie, Competition and Charity”. It was created to fund scholarships for underserved kids who are often the first members of their families to attend college. For 2019, our winning team was led by North Ranch Country Club head pro Scott Miller, with talented amateurs Gerry Hribel, Chip Humphries and Daniel Ragsdale. Kyle Mendoza of South Hills Country Club was the pro champion. Still, charity is the name of this particular game. Many of our generous participants and matching sponsors have returned every year since we started The COPi Cup in 2013. To date, we’ve raised $867,435 and changed the lives of dozens of kids and their families. For that, we (and they) are truly grateful. Thanks. When speaking about golf and teaching the game to youth, there’s an incredible sound of passion in Giovanni Sandoval’s voice. Not to mention after only four years, he’s a 3 handicap. He went from an SCGA Junior student to now working as a coach. Thanks to the SCGA Junior Scholar Program, he will be attending Cal State Fullerton in the Fall, majoring in political science—with plans to try out for their golf team. Imagine being a baseball player through and through, but your family drags you to the driving range one day because your sister plays golf. That one day changed Gio’s life forever. When Gio switched to golf, he really enjoyed the dramatic change. “I call it a getaway—golf is so relaxing. I go and play when I’m stressed out. It gives me time to think,” he said. He also finds a better connection with golf and his life outside the game. Inspired by his former SCGA Junior coach Justin Doyle, Gio is a coach himself at Don Knabe GC and Pico Rivera GC. Gio is well on his way to becoming a great addition to the SCGA Junior family. Registration is now open for COPi Cup 2018 presented by Legistics. Please click here to register. Room accommodations will be at the luxurious Inn at Spanish Bay and the rounds of golf will be played at Spyglass and Pebble Beach Golf Links. Our fundraising goal this year is $200,000 for the SCGA Scholarship Fund. Please let us know if you are interested in a Corporate or Individual Sponsorship. Sign up today as there is indication that numbers may create a sell out this year! 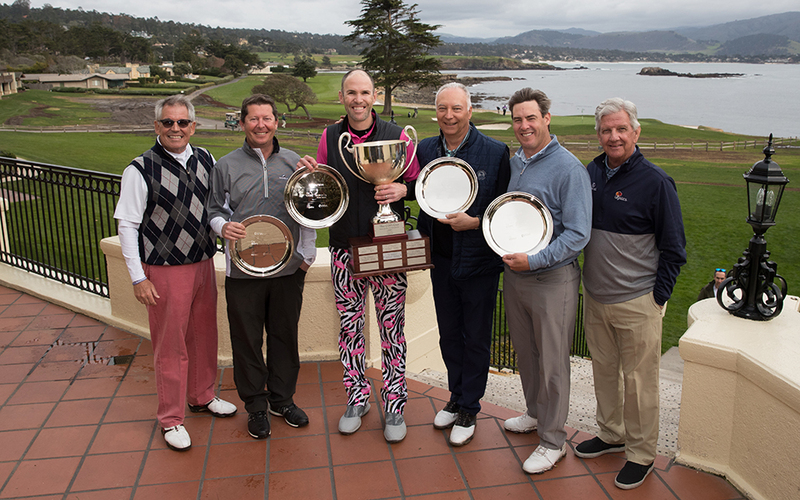 COPi Cup 2017 promises to be the best event yet as we return to the Inn at Spanish Bay’s newly renovated rooms and the fantastic golf at Spyglass and Pebble Beach Golf Links. Our fundraising goal this year is $125,000 for the SCGA Scholarship Fund. Please let us know if you are interested in a Corporate or Individual Sponsorship – we are happy to discuss the options available. Join Legistics, Cumberland Holdings, Matte Grey, SCGA and others whom have already committed to sponsorships. If you can not attend or know of others whom want to get involved – we invite them to become part of the Friends of COPi Cup for a minimum $500 donation. It’s official! The next COPi Cup will be held from March 4-6, 2017 . 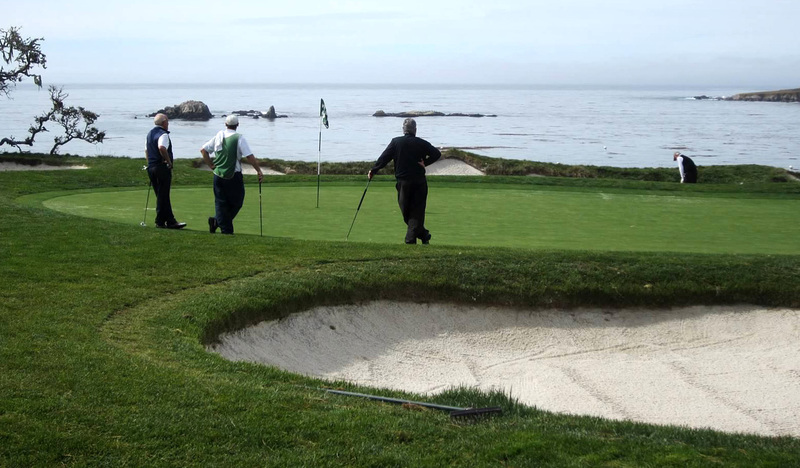 Once again, it will take place at the legendary Pebble Beach Resorts. With its dramatic coastline and mystical forest, Pebble Beach offers world-class accommodations and a golfing experience that is simply unsurpassed. Since it opened on February 22, 1919, Pebble Beach has seen hundreds of celebrities — amateur and professional — take up the challenge of its superb links. From Samuel F. B. Morse to Clint Eastwood. Teddy Roosevelt to Sir Winston Churchill. Jay Leno to Chef Thomas Keller. Bing Crosby to Bill Murray. Justin Timberlake to Don Cheadle. Bobby Jones and Jack Nicklaus to Phil Mickelson and Tiger Woods. Join us in March for the Fifth Annual COPi Cup. We’re excited to have you on the team. Thank you to Scott and Graham Chernoff, Principals at Cumberland Holdings LLC (cumberlandholdings.com) on being a Sponsor of COPi Cup 2016, underwriting a portion of the event. Their generous support continues their involvement in The COPi Cup and SCGA Junior. We look forward to welcoming back Scott’s team from Palos Verdes Country Club and adding Graham’s team from The Olympic Club. The COPi Cup 2016 is presented by Legistics, Inc. with Sponsors to date including Cumberland Holdings and Sid Croft, Esq.